Map and website creation for London Mezcal Week by Bolter Design. LMW brought Mexican flavour to London between in September 2018. Focusing on traditionally-made mezcal brands, the week-long fiesta will the form of a series of events across London, including tastings, dinners, talks and parties. 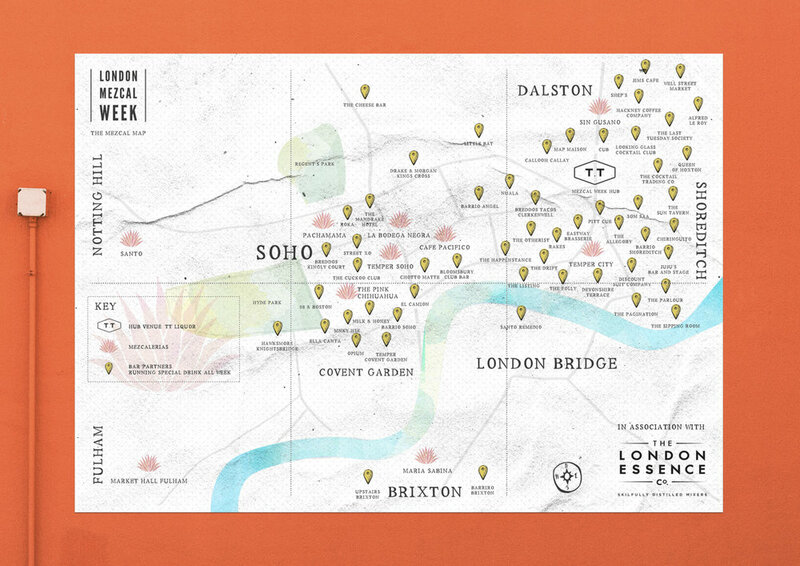 We pinned each of the participating venues across London to showcase the growing interest in Mezcal in the city. Texture and watercolour made the design feel authentic and added a sense of event.